TUMEKE! 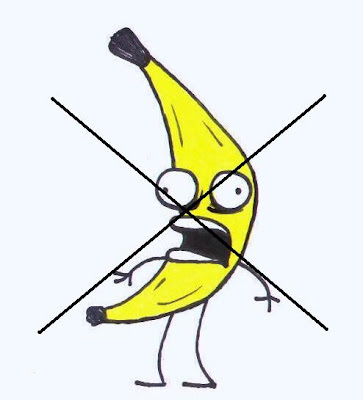 : WE HAVE NO BANANAS TODAY! Oh wacky little Chiquita, up to their old tricks again – you’ve heard of blood diamonds, welcome to blood bananas! Their dirty tricks of paying American backed dictators in South America all for cheap access to bananas has evolved since they last pulled this stunt in the 70’s to simply backing right wing paramilitary death squads, that way it looks a lot less officially sanctioned by corporate America, things like that can damage a brand don’t you know. Here’s how the chief prosecutor Mario Iguaran had to say about the recent case of Chiquita’s corporate sanctioned private murder scam, “It was a criminal relationship, money and weapons in exchange for the bloody pacification of Uraba”. American corporate muscle at work! BOGOTA - Colombia may seek to extradite employees from Chiquita Brands International after the US banana giant pleaded guilty to charges a subsidiary paid protection money to illegal paramilitary gangs, the country's top prosecutor said today. In US District Court, Chiquita admitted paying off the United Self Defence Forces of Colombia or AUC, a paramilitary organisation branded a terrorist group by Washington and accused of some of the worst atrocities in a four-decade-old guerrilla war.